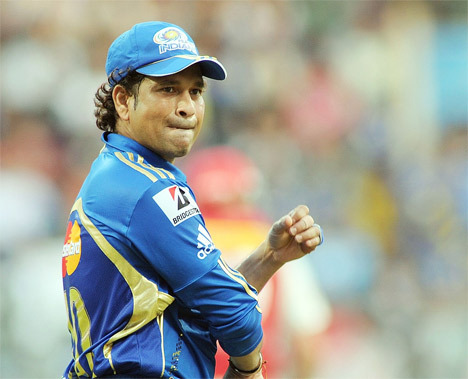 Stating that players of Sachin Tendulkar's calibre would not be playing forever, former South Africa cricketer Jonty Rhodes said it is important that the youngsters who emerge from tournaments like the Indian Premier League are good all-round cricketers. "Guys like Sachin can't play forever and it's important that the young Indian players who come through the IPL are allround players, not just in batting and bowling, as most of the Indian players are, but also as good fielders," Rhodes, who is Mumbai Indians fielding coach, said. "They've got quite a few young Indian players and what I think the organisers are trying to do is to make sure that once the Tendulkars and the Harbhajans retire, the younger guys coming through will carry India," he added. Rhodes said his job is to try and teach the players the importance of fielding. "What I'm trying to get across to them is that fielding is important to a one-day game, especially in 20-over games where one run can make a difference. I've seen that in the 1999 World Cup against Australia and the World Cup against Sri Lanka in South Africa. "I'm not asking them to do miraculous things. I'm saying just find me one run that you can save for the team. It's more about attitude than anything else," he said. Rhodes said IPL has proved to be a great platform for the budding cricketers. "It's always been my view that Indian cricket is going to strengthen and improve because of the IPL. I think that was the key for the BCCI, who were very wise in making sure that the youngsters were getting great coaching and opportunity to play with international cricketers. "The IPL is a great platform where you get international players and international coaches working with the young players."